The glories of the gut? Ask a fat mouse! 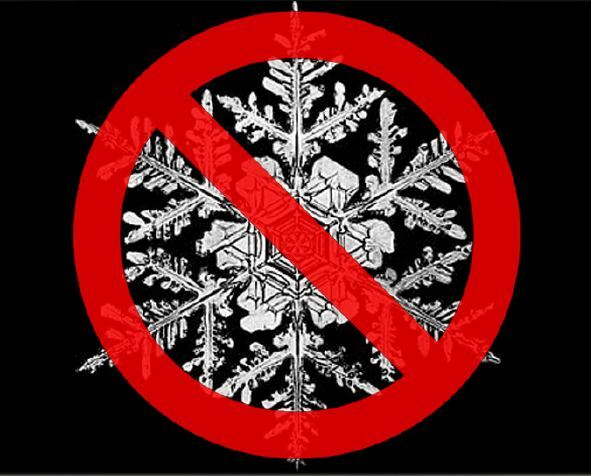 So Friday was all about things we should care about…Dr. Rob Knight enlightens on the awesomeness of microbial ecology and microbiome studies and Evan (which will be posted later) regales us with tales of human genomics and structural variation in an effort to convince us the Human is still a pretty nifty animal to study! Why you should care about microbial community ecology in the context of bioinformatics? We have large preexisting databases which are good for designing universal PCR primers (from conserved regions) The Greengenes database is a really good reference for 16S rRNA. Microbes are ubiquitous and provide key ecosystem services: air quality, water quality, natural ecosystem balance. They determine whether tylenol is toxic to your liver. There are as many E. coli in your gut as there are people on earth, a little freaky but there you have it! E. coli is a classic gut microbe and is incredibly good at living in captivity. E. coli can be as much as 40% different from other E. coli cells. How are microbes distributed across our bodies? How do our microbes change over time? Classical studies have been done and continue to be done on mice, how do we translate between humans and mice? And with sequencing getting cheaper and cheaper by the day, the issue is needing to interpret vast amounts of sequence and tree data. One of the studies highlighted by Rob was microbial biogeography on the keyboard where few microbes survive. They wanted to answer a variety of questions including if there was a Wallace line between the keys G & H. They found that each individual has a unique skin community. 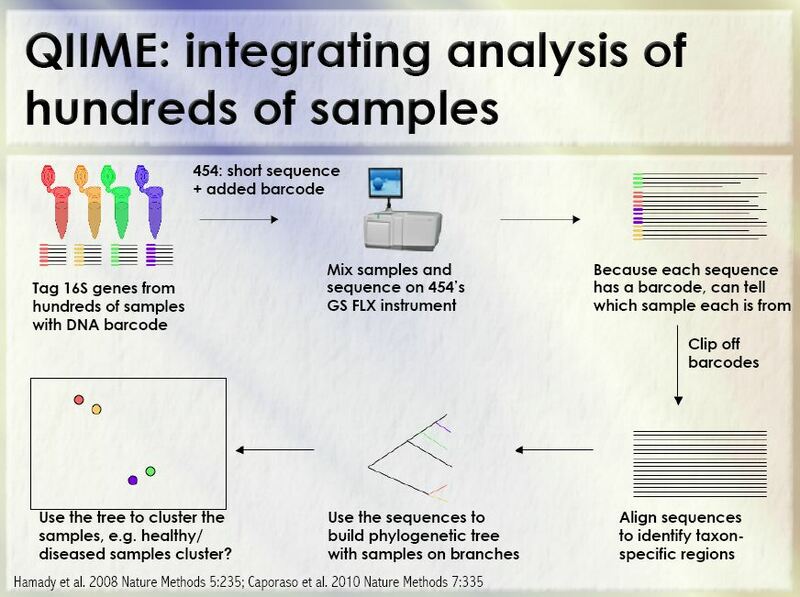 They used QIIME to integrate analysis of 100’s of samples! They looked at specific sites of the human body, they’ve looked at infants born via vaginal versus C-section births, showing the initial microbial colonization of infants and how that microbiome changes over time as we become adults and our microbial communities stabilize. 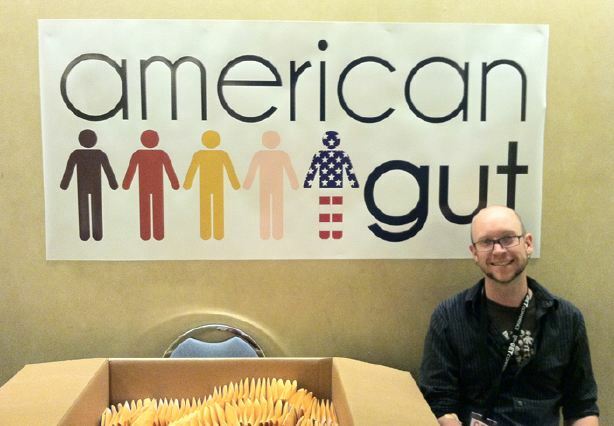 The American Gut project (AMP) took it further, wanting to include more ages and international involvement to assess the human microbiome…starting out as a crowdsourced Indiegogo project! They have now just released data on the first 1080 AMP samples. And their results have indeed covered a wide gammut of human diversity with samples ranging in age from 0-80+ years of age, and conditions such as obesity from BMI levels ranging from underweight to severely obsese. And their results have been very consistent with previous studies conducted on the microbiome which is exciting. 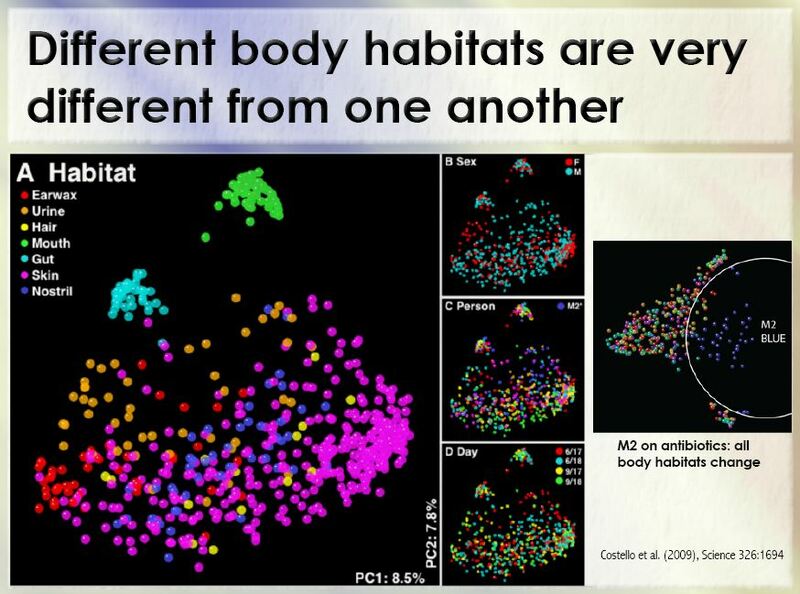 “Do differences in microbiome matter? I highlighted one of these studies in Rob’s faculty highlight so if you’d like to review it, go here. So what were they finding essentially? Genetic mutation can be passed by doing a gut community transfer. 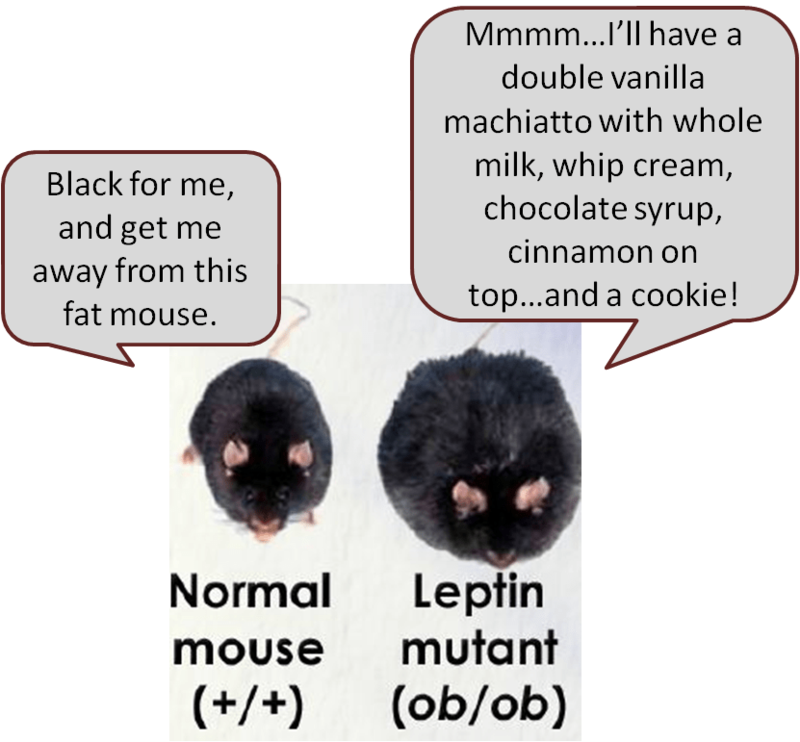 Gut microbes associated with obesity: the more weight the mice lost the greater the change in microbial community. Future directions look toward personalized medicine in developing nations and these pilot studies in humanized mice should allow us to look at issues of obesity and malnutrition in the developed and underdeveloped world.